Beautiful shade, formula applied like butter. 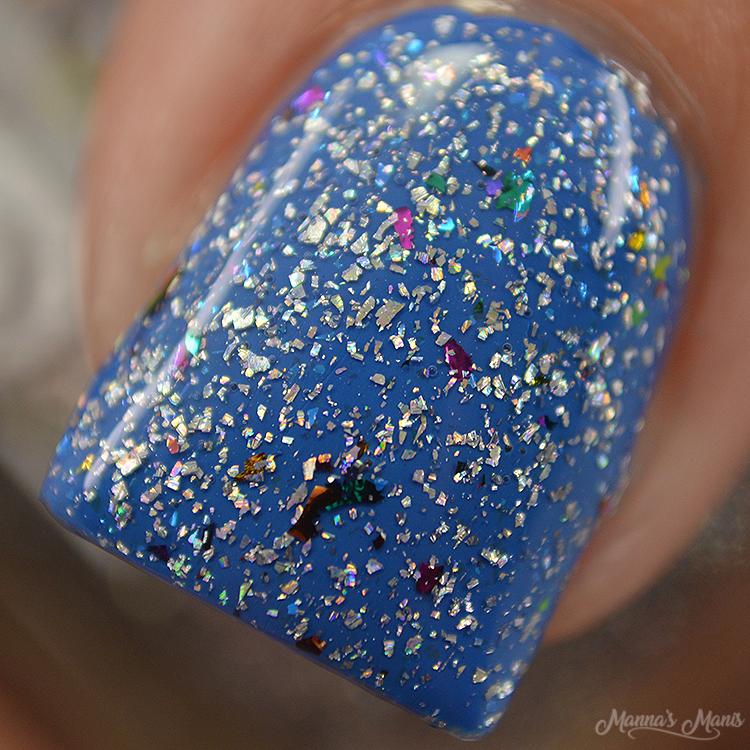 This is definitely a one coater, but I prefer 2 cuz you can never have too much shimmer, right? Raise an Eyebrow is an ode to Frida Kahlo. Outdrinking men in tequila contests, flowers in her hair, and a cigarette in her hand- all these combined bring notes of tequila con limon, florals of marigold, artistic greenery, and ultimate badassery with a twist of tobacco. This is a multi-purpose spray where you can use as both a room and linen spray but becomes a triple threat with the use as a body mist! 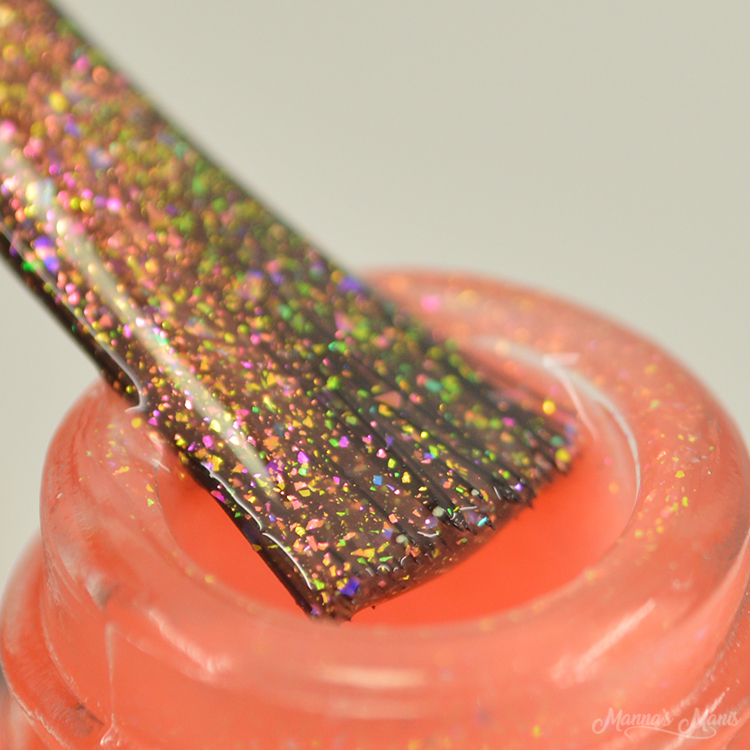 A stunningly hot orange splattered with contrasting microflakies and aurora shimmer. 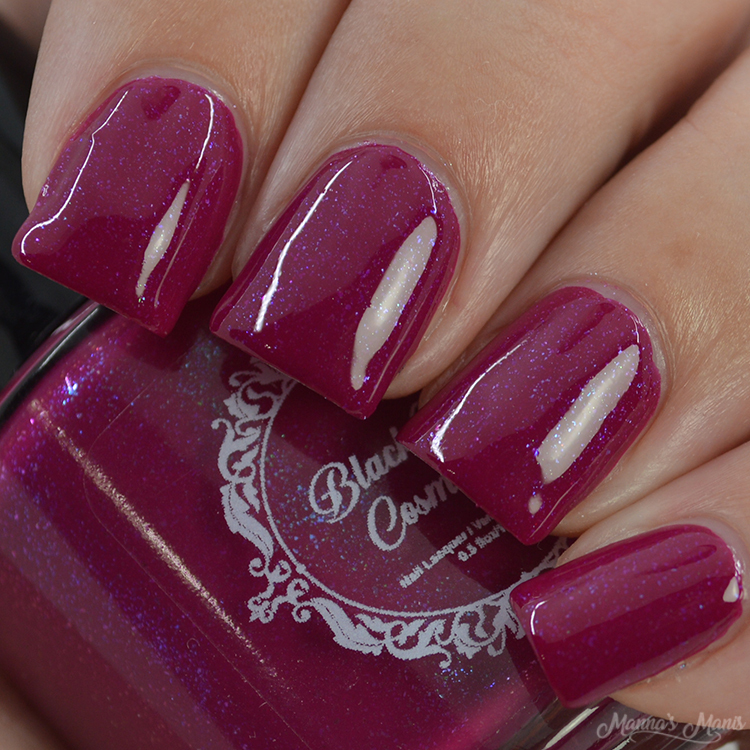 Brandie is KILLING IT with her PPU polishes! This orange is friggin gorgeous..there's really no other way to put it. 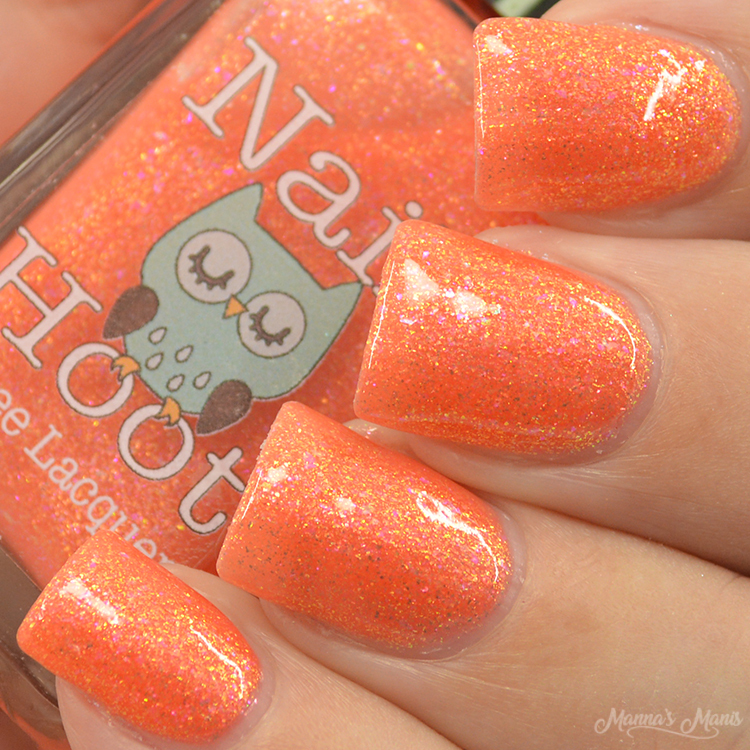 I'm rarely attracted to orange, but this is just..perfect. Great formula, flawless application. I can only imagine how stunning this will be in the sunlight. 2 easy coats with top coat. 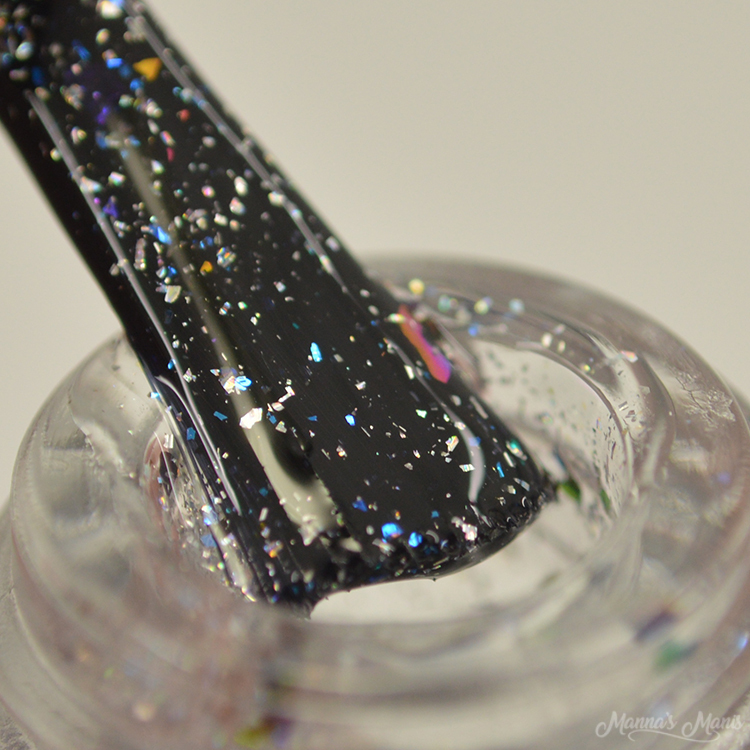 A clear based flakie topper with a mix of ucc flakes and holo flakes. 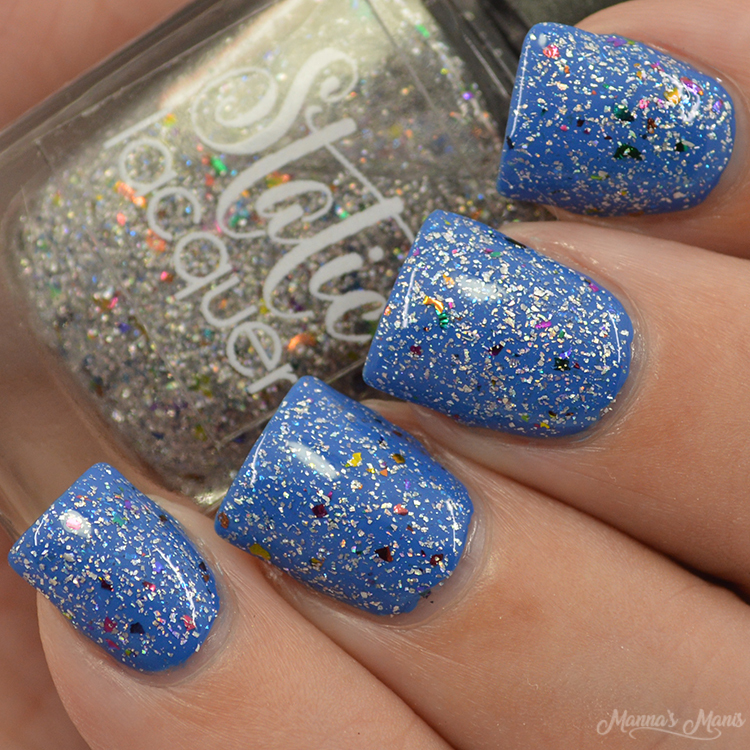 This is a gorgeous topper that can be used over any creme. Since discovering indies, cremes just don't do it for me. They have to be a base for something! 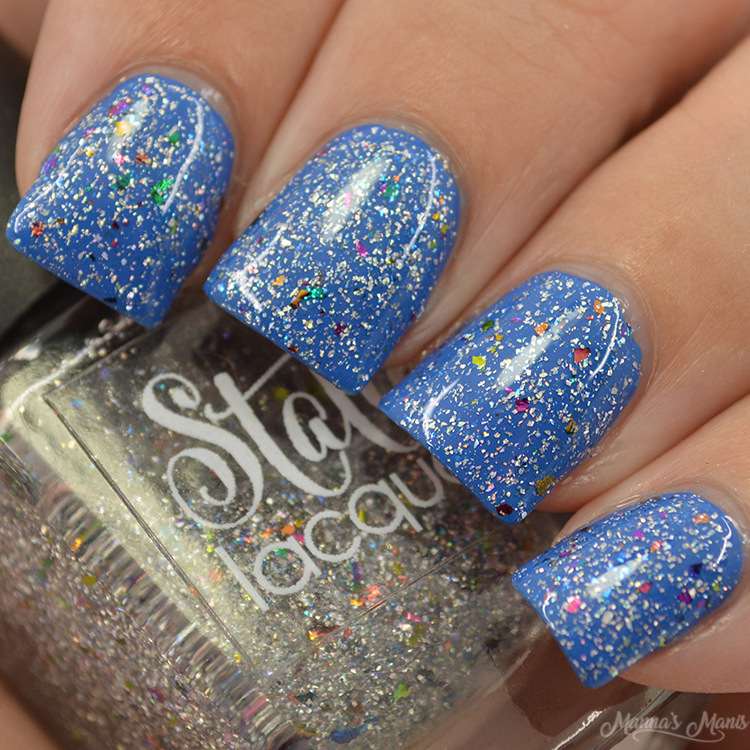 I put this over Static's blue polish from her primary collection and I'm still wearing this a week later! I did 2 coats because I wanted those flakies to pop on my nails. Polishpickup.com opens Friday, April 5th until Monday, April 8th!